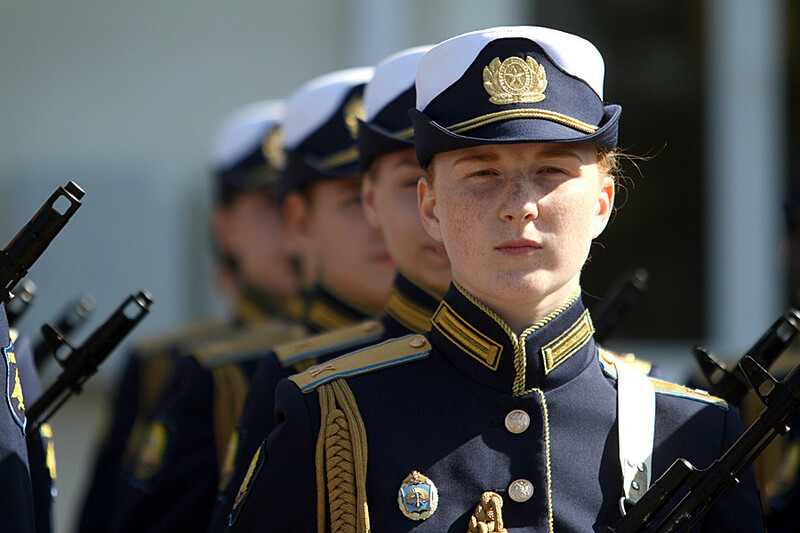 Since the fall of the Soviet Union, no women have served as military pilots, but this trend was bucked when 16 girls enrolled in Krasnodar’s Higher Military Aviation School this year, after scores of Russian girls personally appealed to the Ministry of Defense. 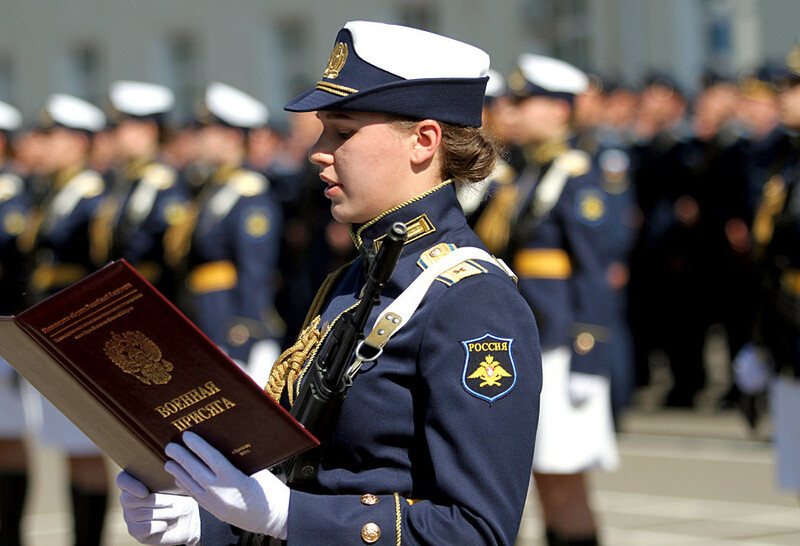 On Sept. 30, something remarkable happened within the ranks of Russia’s Air Force at the Krasnodar Higher Military Aviation School: 16 girls took their army oaths. 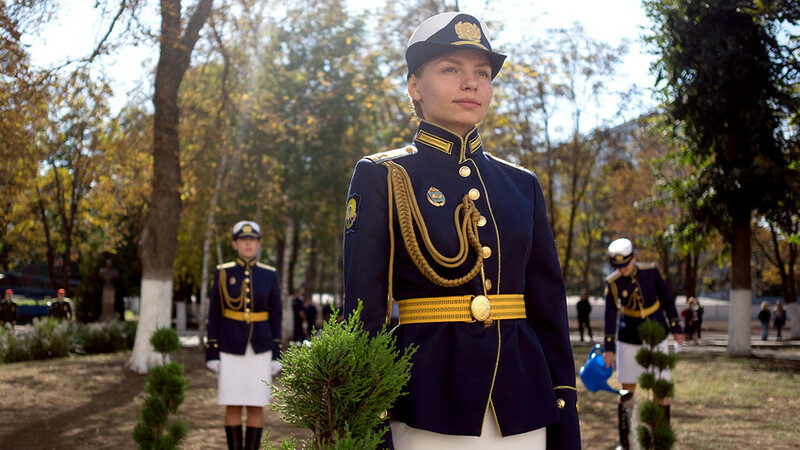 They are the first females in Russia’s modern history to embark on the military pilot training program. The recruitment of female pilots in post-Soviet Russia was announced by Defense Minister Sergey Shoigu on Aug. 12. He said he had personally received countless letters from girls living across the country outlining their desire to serve in Russia’s Air Force. Now their dream has come true. Still, there’s a lot of hard work to do before they lucky few will be let loose in the skies. Just to become a cadet of the Krasnodar Aviation School the girls had to pass a series of rigorous exams and tests. No more than 214 tried to land a place there, but after psychological, physical, and medical scrutiny, the number was whittled down to just 15 - who kicked off their military education on Oct. 1. However, after the final selection process one unlucky girl refused to take no for an answer. 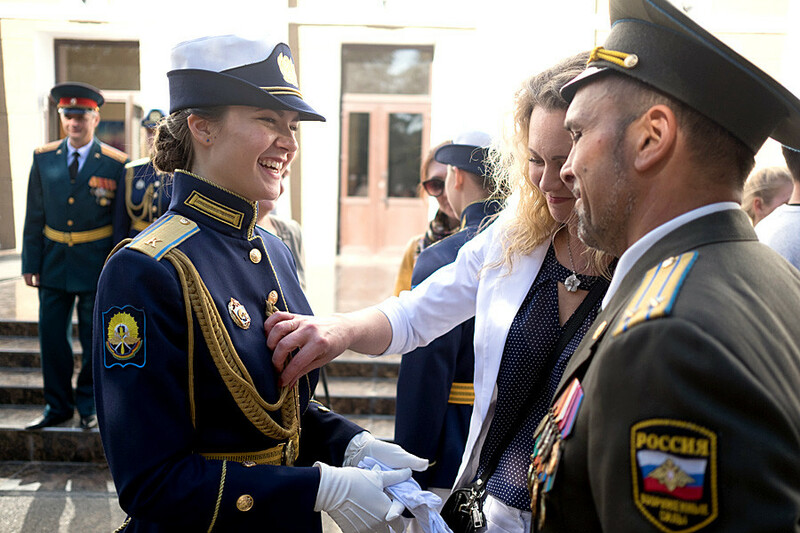 Anna Shcherbakova from Perm missed out on a place at the school by a single point, so she took destiny into her own hands and wrote to Shoigu requesting to be enrolled. Her (ex-military) parents also wrote and attached recommendation letters from her school and the Perm Institute of Physical Culture where Anna studied. 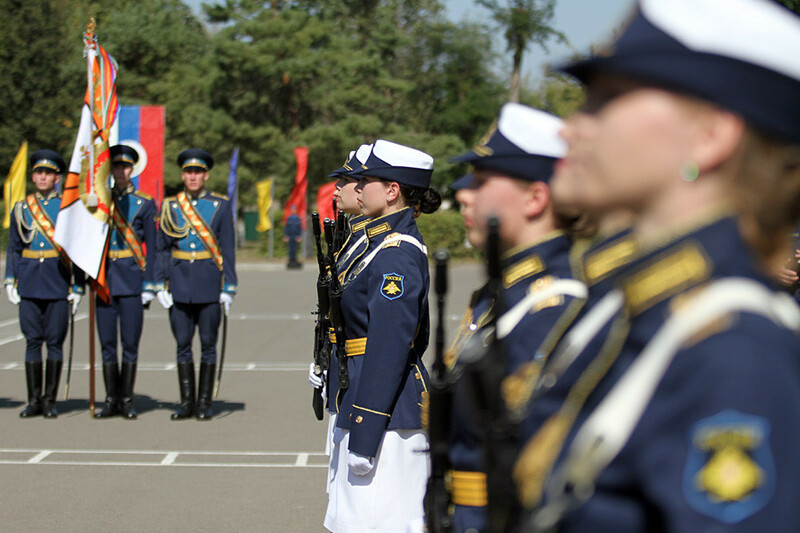 By a special separate order of the Minister of Defense Anna Shcherbakova was enlisted in ranks of the cadets. “I had a goal, I have been working towards it, and I achieved it,” Anna said with unconcealed joy. The oath taking ceremony was held on a bright, chilly day - unusual weather for that part of Southern Russia during this time of year. The future of Russia’s Air Force committed themselves in front of hundreds of male cadets, high-ranking officials from the MoD, and TV cameras. It must have been a nerve-racking affair. Despite this, the girls’ joy was evident, etched onto their faces with anxiety and pride, even if the ceremony dictated that emotions should be kept in check. Their parents, however, were in no such mood to suppress their feelings. The girls’ mums and dads were welling up in the crowd. Their kids were officially the cream of the crop. What’s more, they were rubbing shoulders with honorable guests such as retired Russian cosmonaut and current politician Yelena Serova. She was one of the examiners and followed the girls through each and every stage of testing. 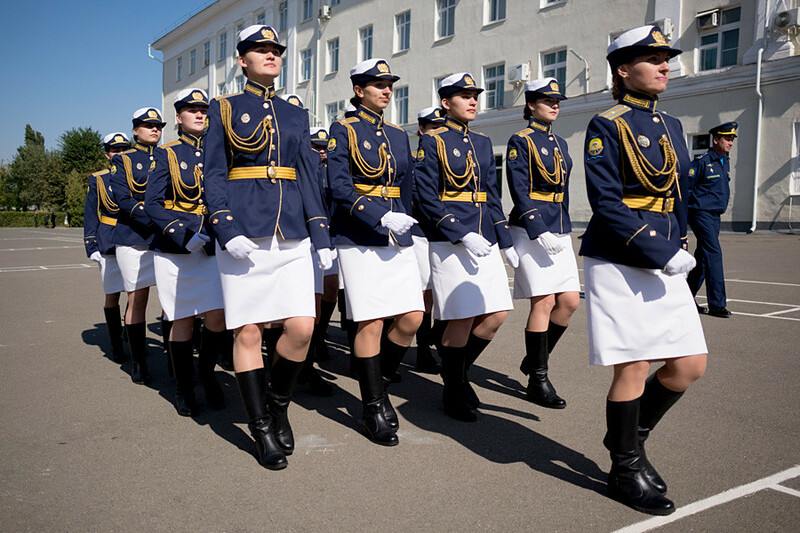 Sergey Dronov, Officer in Charge of the Russian Aerospace Forces, said female cadets should be proud. At the end of the ceremony the girls planted an alley of 16 trees and buried a capsule with a message for themselves, which will be opened in five years, when their training comes to an end. 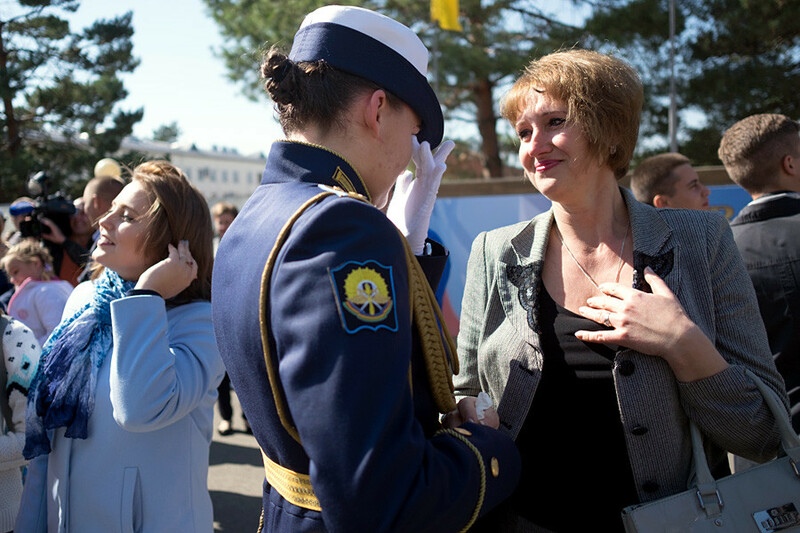 As one of the cadets Vladislava Grigorenko from Chelyabinsk recalled, she had dreamt of becoming a military pilot since childhood. When observing the Victory Day Parade in Revolution Square, Chelyabinsk, she was always more excited about the military jets than the tanks. The Su-27 fighter aircraft has always been her favorite - now she might get the chance to pilot one. Ivanna Rosalik from Kaliningrad prefers military transport aviation and dreams about flying a Il-76. The most experienced pilot among the girls is Yekaterina Pchela from Engels in the Saratov Region. She graduated from the school of civil aviation, but still wants to find a use for herself in the military sphere by piloting her favorite Su-35. Yelena Schmidt was always destined for the military. She is no stranger to falling in line after participating in numerous parades in her native Yeysk on the shores of the Azov Sea. She even tried to get into the Airborne Forces School but failed. When it was revealed that the Air Force would be accepting women, she jumped at the chance. She didn’t fail. For some cadets, the sky is not the limit. Yulia Babich wants to go into outer space and is sure a profession in the military will springboard her to the dizzy heights of becoming a cosmonaut. She wants to be a hero.